By no means I read these all, but I jotted down the titles of these books (actually put them in my Amazon wishlist for later). They are not necessarily “academic” books. I think she is a well-known ethnomusicologist especially to those who are intrested in Caribbean music and cultural identity issues around popular music. 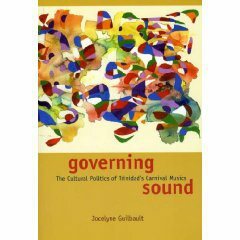 She is known as an expert on Zouk and now this work is on Trinidad’s Calypso and Soca (Soul + Calypso). The title gives a hint of Foucault, I guess. I had no idea about the author, but I read a review about this book published in NYT this weekend. 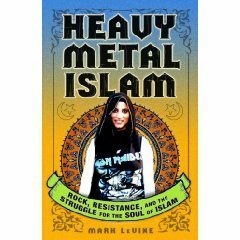 The fact that the author arduously observed and interviewed local heavy metal, punk and reggae musicians in Islam world makes this work itself worth reading. This book might be interesting to those whose issues are (Islamic) youth culture, identity and politics. The title tells everything: celebration of DIY, open source music? I guess it might be a technologically-centered and naively-too-much-optimistic work. In fact, a review article in Guardian interests me in this book written by a British journalist. 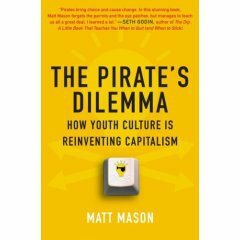 Worth checking out if you are intrested in digital technologies, youth culture, digital culture, digital copyright and piracy issues. It hit upon me that it might be better it is accompanied by an academic work — Bootlegging: Romanticism and copyright in the music industry by Lee Marshall (Sage, 2005).